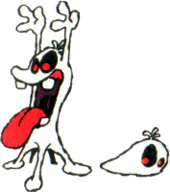 A Boo Blah is a kind of ghost that appears in Super Mario World 2: Yoshi's Island, its remake Yoshi's Island: Super Mario Advance 3 and Yoshi's New Island. This creature sticks to the ceiling or the floor and jumps up periodically, similarly to Stretches from Super Mario Bros. 3. They are generally invincible but are not a major threat, as they only hurt the player if they make contact with them while jumping up. 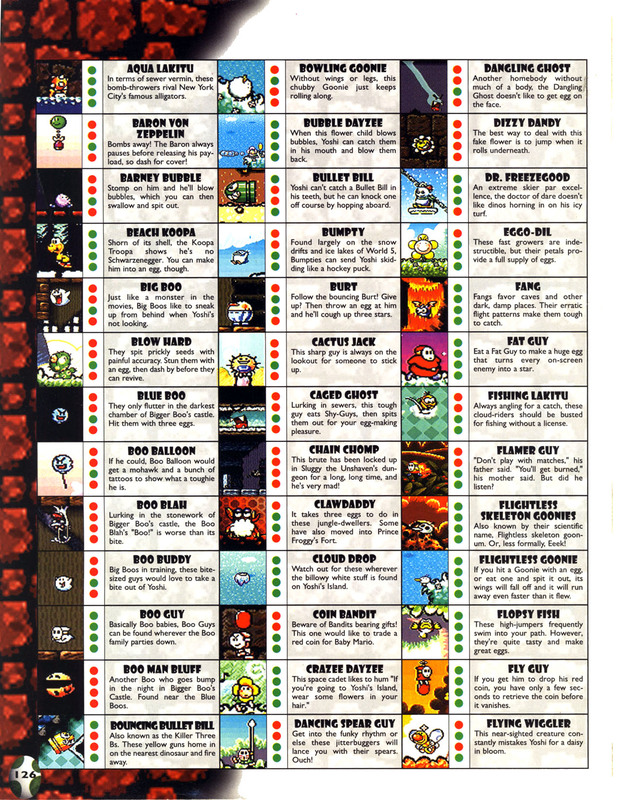 Stomping them stuns them for a brief period of time and by holding the jump button, Yoshi can bounce off them. 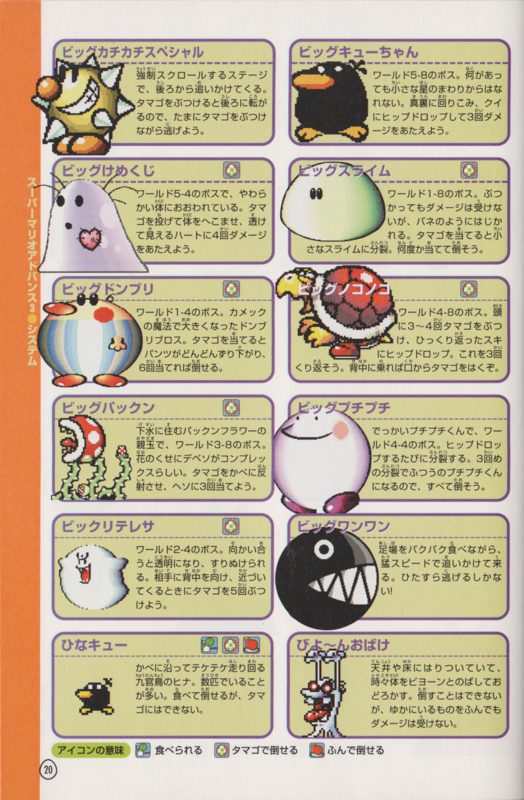 They can be defeated by using a POW Block or a cloud item. Also, there is an unused variant that has a Piro Dangle on its head. They look incredibly similar to the Camo Goblin enemy that appears in The Legend of Zelda: Link's Awakening DX. They even share the same Japanese name. This page was last edited on March 12, 2019, at 03:26.